Petition day Two – 1211 signatures and counting! Today we smashed last week’s record of 589 signed in one day. Today 622 signatures were added to our petition! Bringing us to a current total of 1211 signatures and counting. A terrific result! Thank you so much to our tireless volunteers – including some of our younger members who showed us some great dance moves to keep warm on a rather bracing October day. And thanks particularly to one of our members (you know who you are) who added an impressive number he had been collecting door to door to the total. Today was quite amazing and we could hardly keep up. 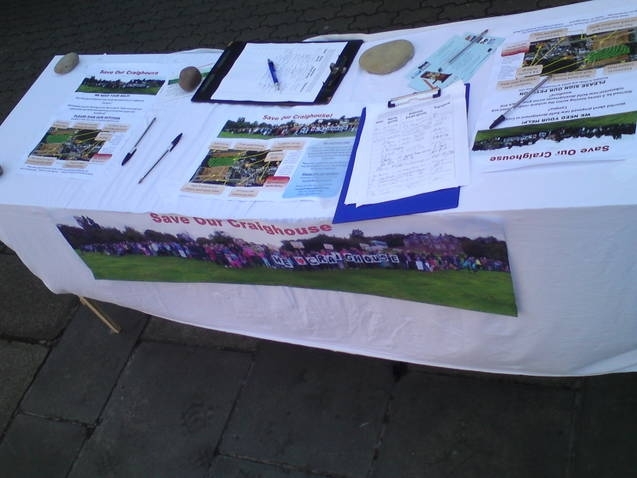 Word of mouth is spreading since last week and people were rushing to the stall to find out more and sign. People told us to keep up the good work, that we needed to give the community a voice and that they were impressed with what the group is doing – which was lovely to hear. The issue of access came up again and again, particularly in light of fresh claims by the developers that access has only been since the time of Napier. People told us they have been accessing the site since they were a child, that they had worked there previously as a hospital and there was access to the site well before Napier took it over. 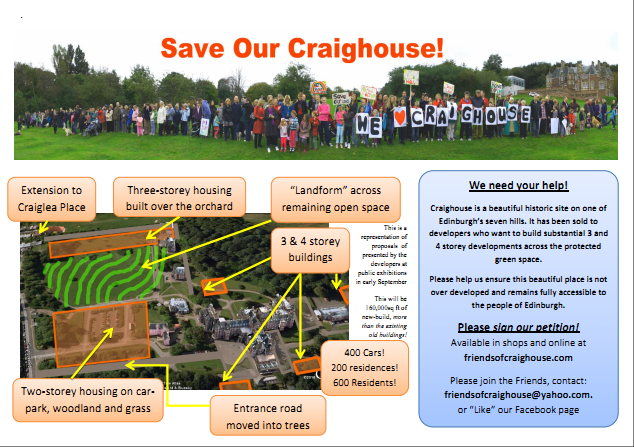 We’ve only had the stall out two Saturdays so far, but there is already resounding support from the people of Morningside for preserving the green space and woodland against new build development and huge interest in our cause. People were really pleased that there were people prepared to stick up for Edinburgh’s green spaces and do not see that such an incredible site should be sacrificed. We will be continuing to fight for this incredible historic site. 1 Response to Petition day Two – 1211 signatures and counting! am also ken off getting knowledge.